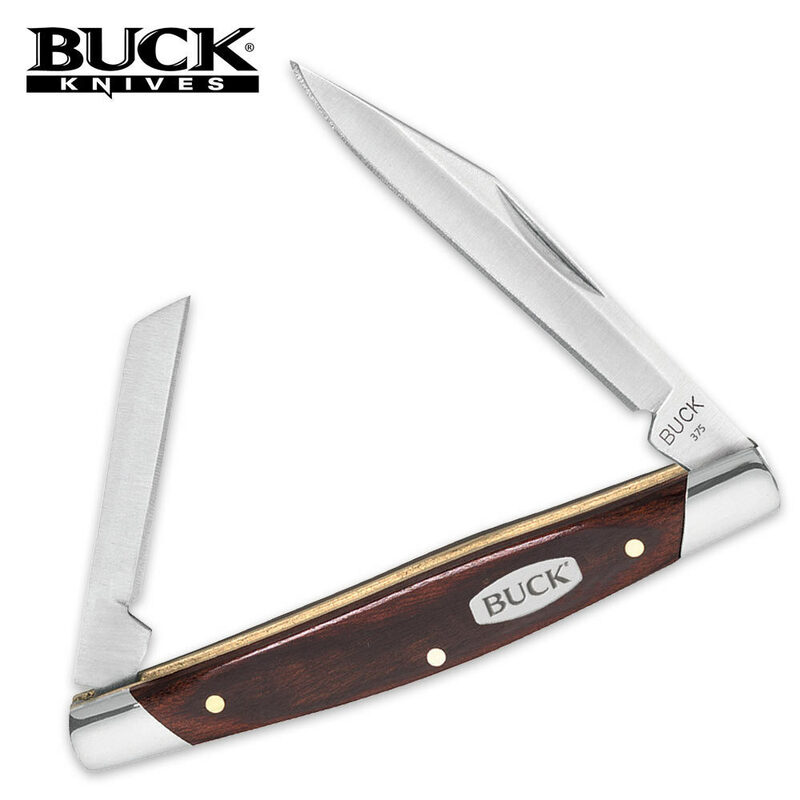 Buck Deuce Two Blade Folding Pocket Knife | BUDK.com - Knives & Swords At The Lowest Prices! If you're looking for an everyday carry folding pocket knife, this Deuce from Buck Knives gives you Buck on a budget! This value-priced folding pocket knife features a traditional design with 420J2 clip and coping blades, completed by a classic woodgrain handle. The polished bolsters, pins, and Buck shield add the right amount of elegance to the Deuce. Finest in materials and workmanship. You will be proud to own such quality. Bought this knife as a gift. It appears to hold to the Buck standards and I'm sure it will give years of good service. The handle could have a little better finish to it.